Real Nutriceutical is a provider of health-related products, with a primary focus on amino acid-based nutritional supplements in Chinese market. The group is the largest manufacturer of amino acid-based nutritional supplements in China for the past 10 years. The group basically has 3 segments, namely nutritional supplements and general health food, health drinks and pharmaceuticals. The group has manufacturing facilities in Wuxi and Nanjing of Jiangsu Province. One of the Wuxi plants is capable of producing nutritional supplements and general health food products in the form of tablets, capsules, liquid and powder. 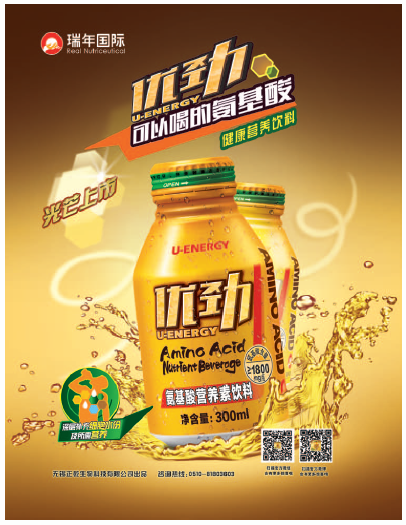 The other Wuxi plant produces health drinks including herbal tea and amino acids drinks. 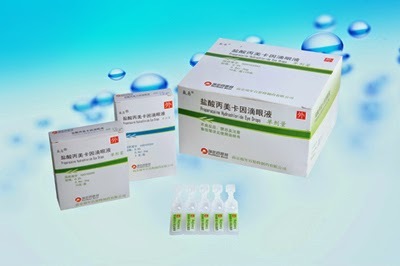 The group manufacture high end eye medicine and anti-cancer drugs at our pharmaceutical manufacturing plant in Nanjing. All production lines in operation are GMP compliant. The Group has been invited as the first and only member from China to join the International Council on Amino Acid Science ("ICAAS"), a highly recognized international institution in the study of amino acid science. The group also sell our products through the Real Nutri Health Stores and internet direct sales platform. At the end of 2014, its health and nutritional supplement products were sold through third parties’ retail outlets of approximately 77,000 points in China. There were around 200 Real Nutri Health Stores as to date to build closer bond with products' end users, provide free body checks, health consultations and activities. Apart from that, the registered members of its Real Nutri Health Club increased to over 350,000. The group able to collect and analyse data from their club members' consumption preference. Revenue had been steadily increasing for the past few years. The group's performance dropped a bit in 2012 due to dropped in product sales. Profit margin was quite stable. Dividend payout was quite low at around 10% but dividend declared increased from 4cents in FY2010 to 7.2cents in FY2014 recently. 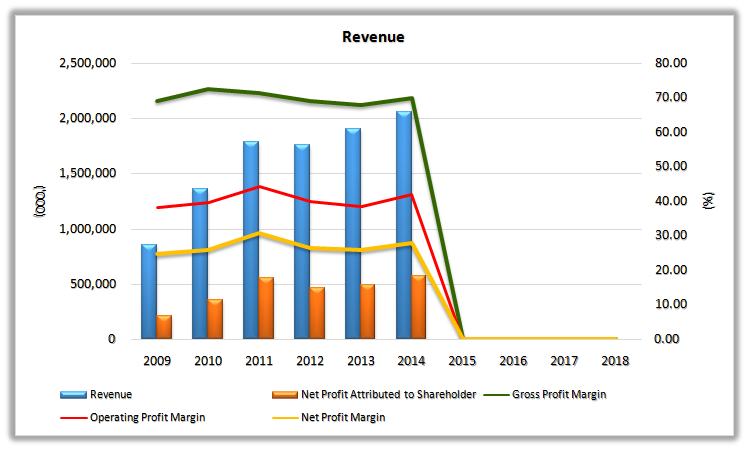 Majority of the group's revenue comes from its health & supplement segment with high gross profit margin of around 80%. The group tried to penetrate HK market before with its amino acid supplements but to no avail after few years of below par result. Health drinks segment contributed the second to the group's performance. 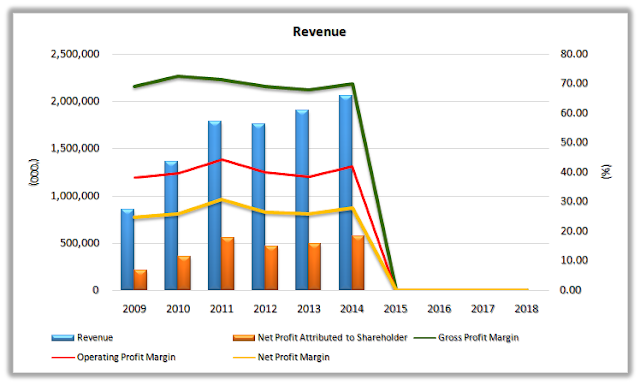 Gross profit margin jumped in FY2014 due to lower outsources of health drink manufacturing to subcontractors. This scenario probably will continue moving forward. 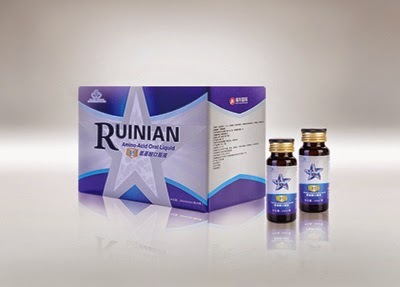 Performance of its pharmaceutical segment improved organically as well as contribution from the new acquisition of 60% owned Magic Galaxy whose core business is manufacturing of high end eye drop products in PRC albeit with lower profit margin. The group's point of sales for its supplement products increased from 50k in FY2010 to 77k in FY2014 while for its pharmaceutical products, the group's sales has delivered to 600 hospitals from mere 100 hospitals earlier. The group started to open its Real Nutri Health Stores in 2010 and able to reach around 200 units in 2014 while its club members almost double in 2-3 years. There is some growth prospect in this company, will write more in next post.